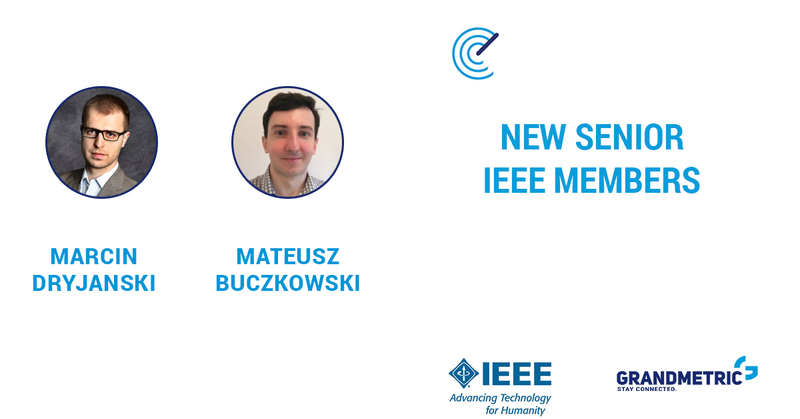 We are extremely proud to announce that our team colleagues – Marcin Dryjanski and Mateusz Buczkowski – had become IEEE Senior Members. 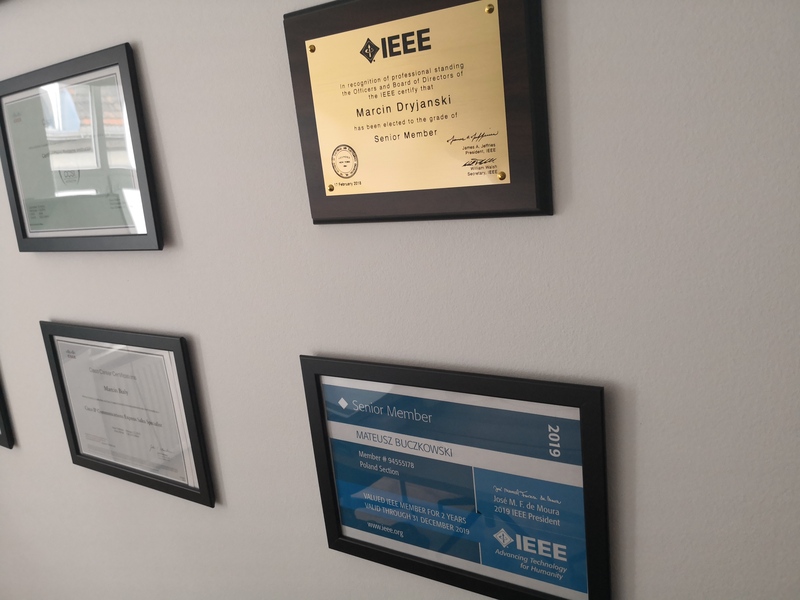 IEEE is the world’s largest technical professional organization for the advancement of technology and Senior Member is the highest grade for which IEEE members can apply. Mateusz Buczkowski received his M.Sc. degree from Poznan University of Technology in 2012. Since then he is employed at the Chair of Telecommunication Systems and Optoelectronics in the Faculty of Electronics and Telecommunications as a teaching assistant. As a R&D engineer he took part in two FP7 EU projects, namely 5GNOW and SOLDER, where he worked on solutions that can be used in 5-th Generation wireless networks, which is to come in 2020. In Grandmetric he is involved in wireless systems research. Marcin Dryjanski received his M.Sc. degree in telecommunications from the Poznan University of Technology in Poland in June 2008. During the past 10 years, Marcin has served as R&D Engineer, Lead Researcher, R&D Consultant, Technical Trainer and Technical Leader. He has been providing expert level courses on LTE/LTE-Advanced and 5G for leading mobile operators and vendors. Marcin was a work-package leader in EU-funded research projects aiming at radio interface design for 5G including FP-7 5GNOW and FP-7 SOLDER. He co-authored several research papers targeting LTE-Advanced Pro and 5G radio interface design, and is a co-author of a book entitled “From LTE to LTE-Advanced Pro and 5G”, (M. Rahnema, M. Dryjanski, Artech House 2017). Marcin is the co-founder of Grandmetric, heading the research activities and focusing on wireless systems. In this role, Marcin provides consulting services and training courses on LTE / 5G and Wi-Fi related topics. This is a well deserved distinction for constant hard work at Grandmetric and we hope that this will be a motivation for a further development of Marcin and Mateusz’s knowledge.